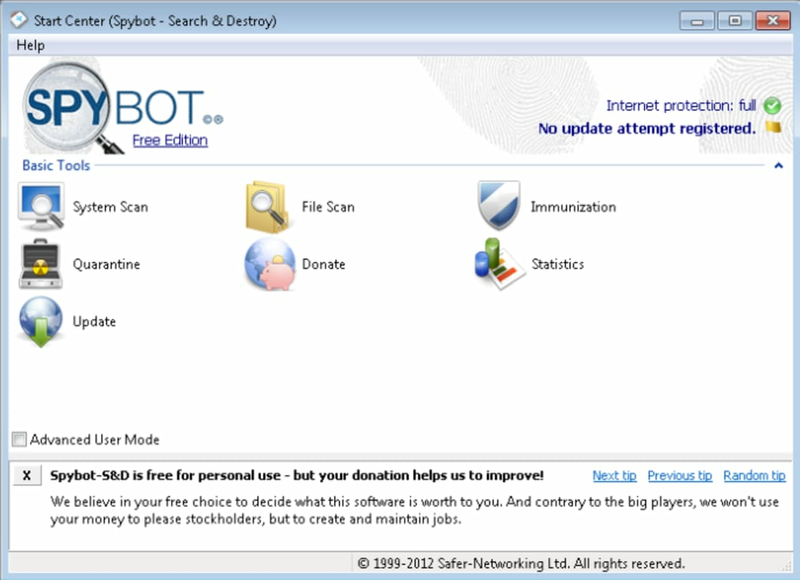 SpyBot Search & Destroy is a powerful application that targets and eliminates malicious types of programs such as malware off your computer. SpyBot is fairly straightforward in what it delivers: protection against spyware, malware, and other nasty programs that plague all corners of the Internet. Typically, malware and spyware get onto your computer by visiting dodgy websites, clicking on strange links in emails, or a whole host of other ways. 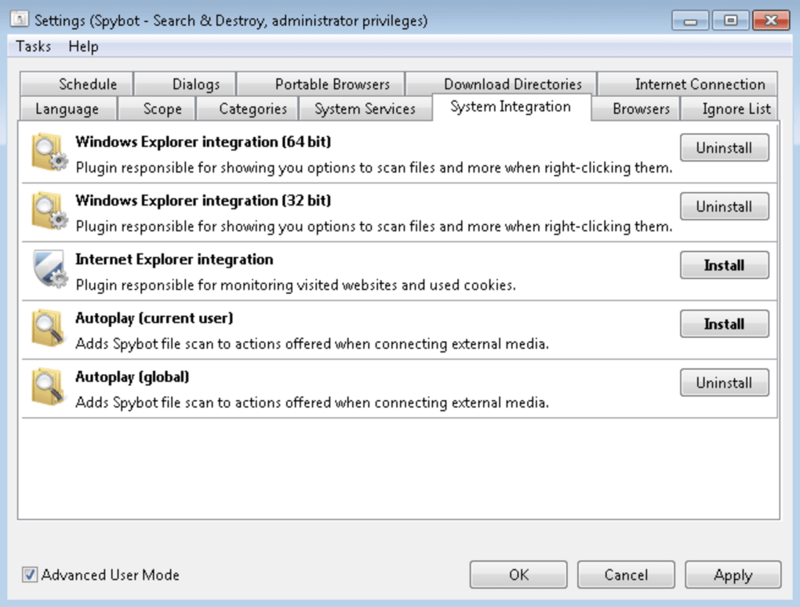 Depending on your installation settings (see below), SpyBot keeps things simple. It can scan your entire computer or individual files, quarantine nasty files, and provide reports and logs of your scans. 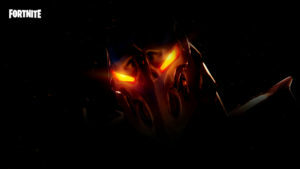 For more options, premium versions of SpyBot are available for purchase. 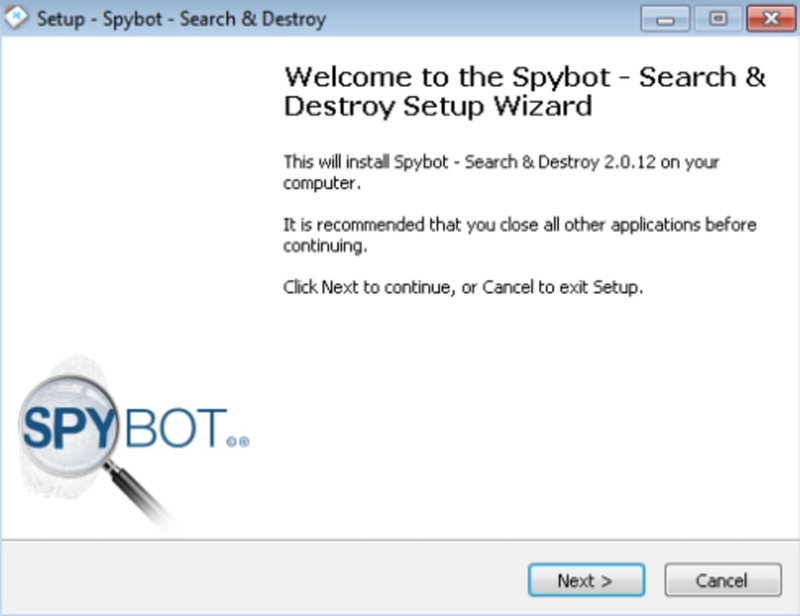 When you install SpyBot Search & Destroy, you are immediately given the choice to update, which is all important when dealing with the various forms of spyware that you want to be protected from. Updating can take a while, but it's definitely worth the wait. Once you get past the update, you are prompted to create a system backup, just in case SpyBot Search & Destroy happens to remove something that is actually important. It should go without saying that making this backup is recommended after which you may finally immunize your system with SpyBot Search & Destroy from a growing database of malicious processes. 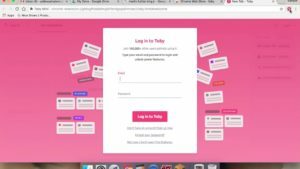 The interface is fairly intuitive and Spybot prompts you early in the installation process to describe what type of user you are. This provides a great option for beginner users who just want a simple scan, and advanced users who would like to customize parameters of the scan. 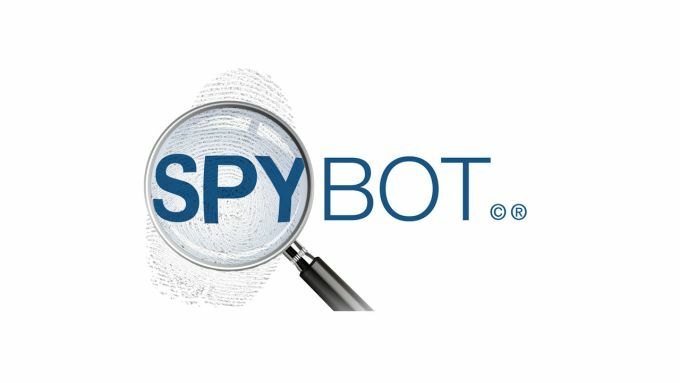 Although SpyBot Search & Destroy is a powerful piece of anti-spyware software, it may be better to see it as part of your security solution. 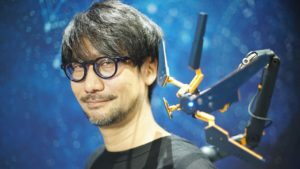 For example, team this up with Ad-Aware SE and your computer will stand a much better chance against the different types of spyware and malware out there. 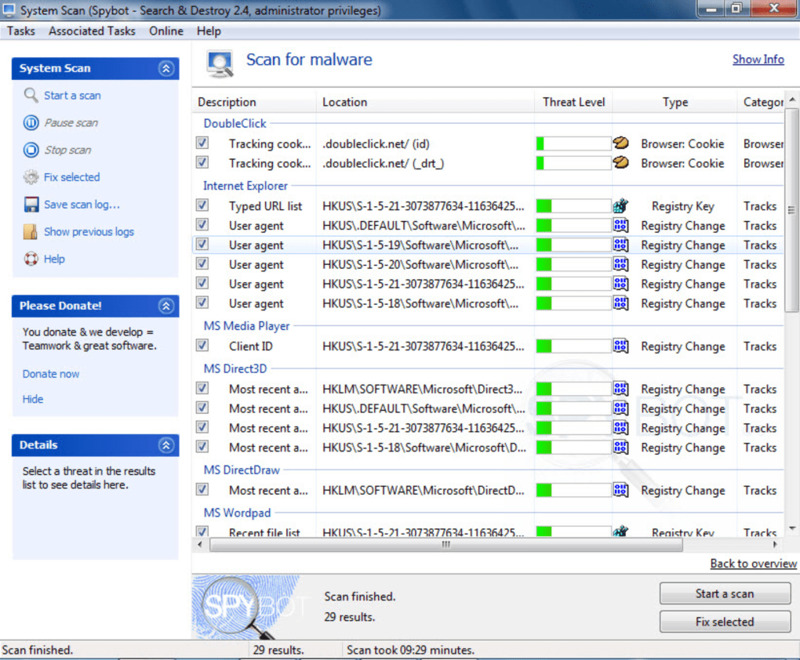 Search & Destroy can detect and remove spyware of different kinds from your computer. Spyware is a relatively new kind of threat that common anti-virus applications do not yet cover. If you see new toolbars in your Internet Explorer that you didn't intentionally install, if your browser crashes, or if you browser's start page has changed without your knowing, you most probably have spyware. 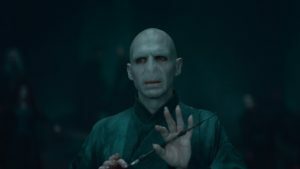 But even if you don't see anything, you may be infected, because more and more spyware is emerging that is silently tracking your surfing behaviour to create a marketing profile of you that will be sold to advertisement companies. Trust is earned NOT bought . I trust Spybot more then any other security app out there. 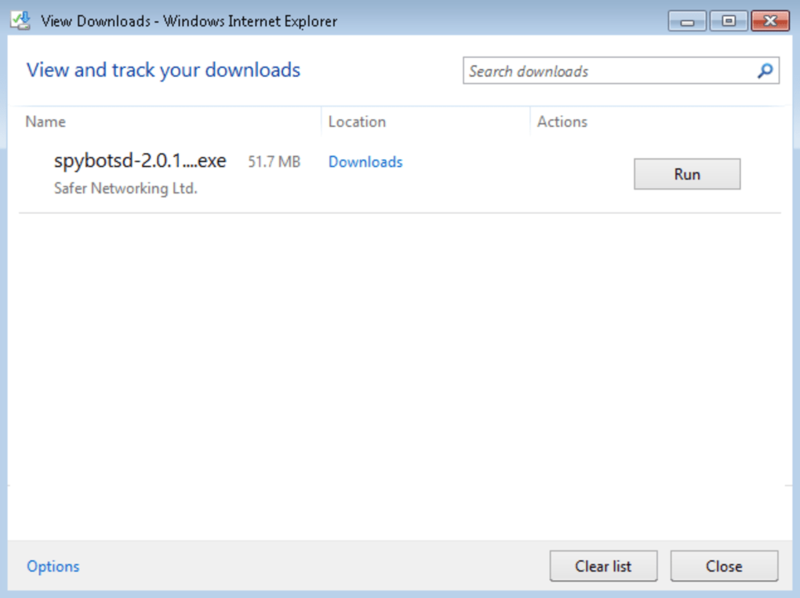 I recommend it to every user that find themselves stock due to ransom war or whatever the web can trough at you. The ease of use and the updates that insure it's uptodate. Until I use it with Win 10 I wont know. Don't expect tech help or email replys. They refuse to answer any email sent to them for support.I've written them 4 times and never received a answer.Even though I deleated the older version and am using the updated one the old one keeps popping up telling me to update my virus definitions.I keep emailing them as to how to stop this and they refuse to answer.So don't expect tech help from them.I have one of the paid versions what a mistake. Works well in locating problems. Refuses to ans email questions. No tech help even in paid versions. You can trust Search and Destroy...our Family has used it for years!!!. I've been using SS&amp;D for years now and it's kept all of our Family's Computers clean and safe! I try to remember to donate every year to help keep SS&amp;D up to date and available for the Intelligent Users to enjoy. Thanks for providing such an awesome Utility!! S&amp;D, from the beginning years ago, did what it said it would with no hassles! 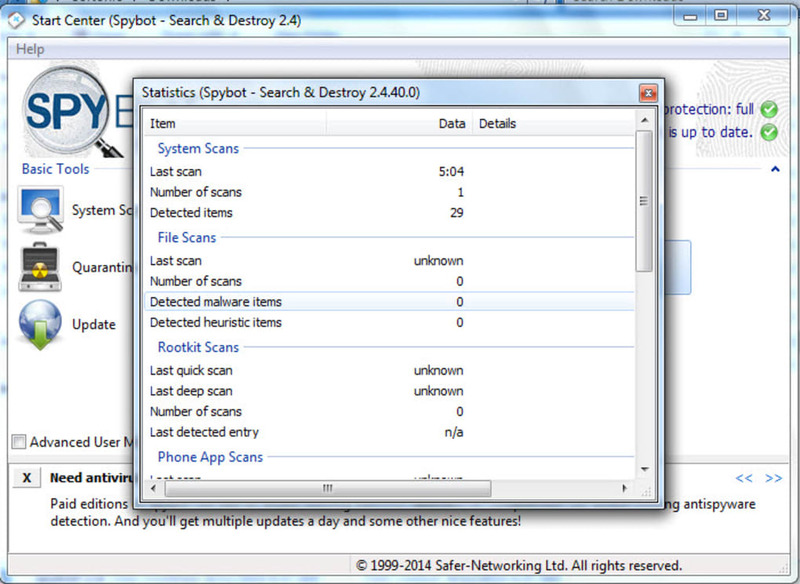 spybot just doesnt work on the viruses i installed it for. 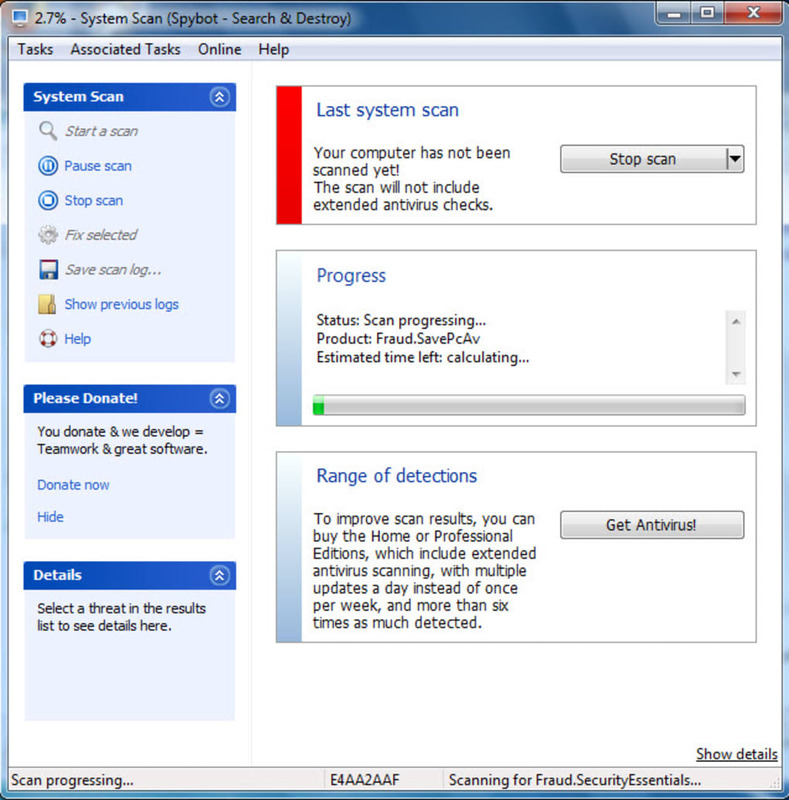 really the viruses that a need removed savifier, foloskin, pn still infect my computer and i think dissabled spybot. kinda funny if you ask me.